This moisturiser has been developed to be used on a daily basis for those with parched skin or else as an S.O.S. intense treatment for those who are experiencing a period of dry skin or irritated skin. As with all Caudalie products, this moisturiser is free from parabens, mineral oil, phthalates, phenoxyethanol and ingredients of animal origin. It has a subtle scent as it contains notes of bergamot, cucumber, lemon tree leaves, mandarin and fresh mint. The main effective ingredients in the cream are Borage Oil (which improves the elasticity of the skin), Vinolevure (which deeply nourishes and moisturises the skin), Olive Squalane (another moisturising ingredient), Organic Grape Water (which soothes the skin) and Polyphenols (anti-oxidant that runs through the Cuudalie range). Although the cream is rich, it absorbs quite easily without leaving the skin with a greasy feeling. It feels instantly soothing and like a drink for the skin. It also instantly plumps the skin and leaves it feeling really soft. What I love is that the plump and soft feeling doesn't disappear after a few hours as is the case with some moisturisers. This cream is suitable for both morning and night use and layers well over serums without any pilling. It would work well for anyone who has dry or sensitive skin but I think it would be too rich for those with oily, or possibly even combination skin. That being said, I have to emphasise that it doesn't feel greasy or heavy on the skin. A little goes a long way, which makes it really great value as a 50ml pot is priced at £25. 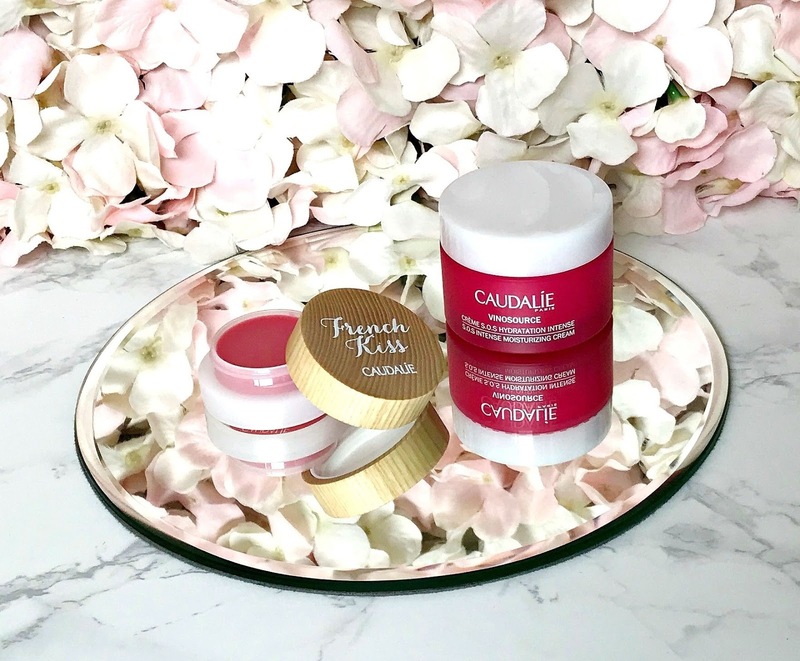 From now until the end of April, if you buy any product from the Vinosource range, enter the code FRENCHKISS19 at the checkout to receive a free French Kiss lip balm. These lip balms are really moisturising and they add a hint of colour to the lips - perfect for natural makeup or makeup-free days! Does this cream sound like it would suit your skin? I'd love to hear!